For Senator Marco Rubio (R, FL), politics is about delivering a message for the moment with clarity and credibility and public service is a calling that cannot be ignored. Often called the best communicator in the Republican Party/Conservative movement today, Marco Rubio has long understood that political moments don't last and ambitious public servants must take advantage of opportunities as soon as they present themselves. When he was frustrated with the Florida Republican Party's lackadaisical approach to advancing Conservative solutions and winning elections, he ran for the U.S. Senate as an underdog against the favored son of the establishment, sitting Governor Charlie Crist, and ran the moderate out of the party, and out of elected office. That frustration with the status quo might explain why he would run for President at 43, just four years into his first term in the United States Senate as well. But, actually, for Marco Rubio, the most important cause he could fight for - an America that grants equal opportunity for everyone to pursue the American Dream - is far more personal. Rubio is the son of Cuban immigrants that fled the island nation in 1956. Though not quite the exile story of so many Cuban migrants, that the United States took his parents in at the time and provided for them nothing more than the opportunity to make of themselves whatever they dreamed, has animated Marco Rubio's pursuit of politics from a very young age. To hear Rubio tell it in his book, An American Son, he was originally captivated by liberal ideologue Senator Edward (Ted) Kennedy (D, MA) in the election of 1980. But when his grandfather, an immigrant from Cuba that had toiled in the fields from the vulnerable young age of nine and was stricken with polio as a young man, sat with him on the porch of their West Miami home and explained how President Ronald Reagan had restored America's place in the world, forcing her enemies to surrender, freeing hostages in Iran upon inauguration, and was ushering in an era of economic prosperity through ambitious tax policy, Marco became convinced that the political party for him was the Republican Party. Nothing in his studies deterred him and he became a committed Republican activist in Florida, helping lead Robert Dole's presidential campaign in Miami-Dade County in 1996. Then, it was Marco's turn. He ran for a seat on the West Miami City Commission, but first, he'd have to earn the support of West Miami's mayor, a gregarious pol named Rebeca Sosa. 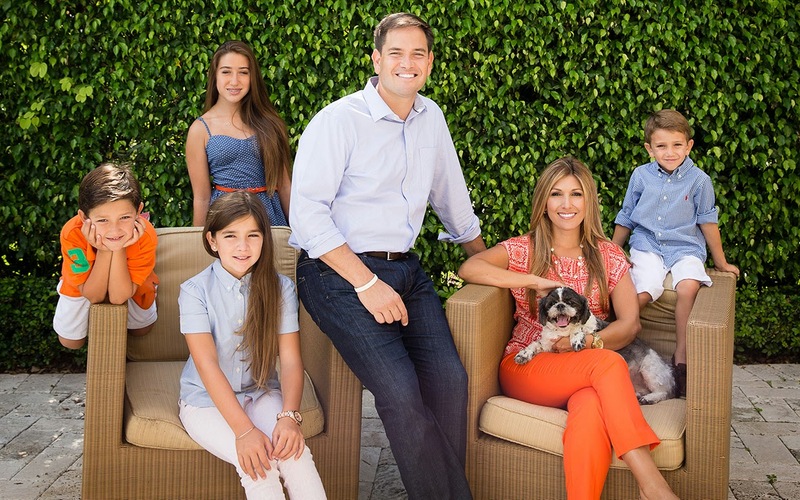 Rubio, then twenty-six, walked up to her as she was gardening and explained how his immigrant background compelled him to serve the country he loved so deeply and given his family everything. For all we know, he might have just repeated everything he told her then on Monday when he announced he's running for President at Miami's iconic Freedom Tower. "America doesn't owe me anything but I have a debt I have to repay," he explained. Marco Rubio was always going to run for President. But why now? Because, he can't wait. Politics isn't about waiting for someone's "turn". It's about serving the public. And when the public clamors for more, those aspiring to serve the people must deliver. It's Marco's moment. For the first time, Americans aren't optimistic about the future. 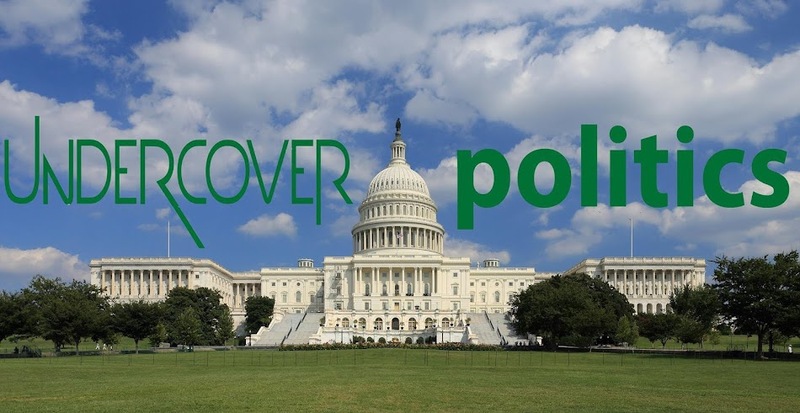 Politicians for the last thirty years have tried to help the economy advance toward the twenty-first century amid rapid globalization, automation, and competition. Not surprisingly, both parties have failed. Since 1999, the American middle class hasn't advanced very rapidly, even fallen back in some key measures. Economics are one side of the equation; the despair of a fading American Dream is quite another. No matter how well-off Wall Street has been under Presidents Bush and Obama, middle class fortunes have stagnated. To many, achieving what was possible for their parents one generation before seems especially difficult, if not impossible. Furthermore, Americans are more concerned than ever that the world order of the last century is descending into dangerous chaos, stunningly aided and abetted by negligence and naivete from the current administration. Personal slights or disturbing ideological blindness has lead the Obama administration to treat Iran with more deference than Israel, fail to address Vladimir Putin's rebuilding of a Russian empire, and enabled China's stealthy reclaiming of the vast Eastern frontier. According to Rubio, this is because politicians are committed to the ideas and policies of the past and unwilling or unable to search for modern solutions to the problems of the present. As he declared, "we must change the decisions we are making by changing the people who are making them." There's a genius in that. It's the same genius that elevated Ronald Reagan from a B-list actor fading from memory to America's fortieth President. As one of Ronald Reagan's White House aides confided in me after Marco Rubio spoke at the Reagan Library in Simi Valley, California, in 2012, Reagan's political genius was in speaking to the anxieties of the day and offering conservative solutions for the future. As Marco Rubio explained to Buzzfeed Brews immediately following the 2012 election, "I can tell you what conservatism meant in 1980...1990...now we have to decide what it means in 2013, 2014, and 2015, in a time that is very different than the 1980s in terms of the challenges people are facing." We can't just take Reaganism and apply it to the 21st century. Likewise, we can't take Bill Clinton's economic policies and insist that it will solve the biggest problems in 2017. On Sunday, to paraphrase the candidate himself, "a leader from yesterday began a campaign for President by promising to take us back to yesterday." The following day, the 43-year old son of Cuban immigrants began a campaign for President by promising to pursue conservative solutions to reclaim the American Dream and secure for this generation and those to follow "A New American Century." If Hillary Clinton is the candidate of yesterday, Marco Rubio is the candidate of tomorrow. As Senator Mike Lee (R, UT) has written, the only hope of the Republican Party in 2016 and beyond is to win the vote of the middle class and those aspiring to join it. That is Tea Party Senator Mike Lee, no moderate, laying out the best case for adopting Marco's message in 2016. "The Republican Party is best equipped to reclaim the promise of America in our time. We are the party of Lincoln, built on the belief that equal opportunity and equal rights under God are ideas so powerful they can unite people of every culture, tongue, race, and creed...it is also the call of our time, and the call of my party in this election — to pull our nation above its divisions, and reclaim the equality of opportunity that has long united us as one people." "Our time will be one not of a Republican Dream or a Democratic Dream, but of an American Dream — a dream that we will not only save, but expand to reach more people than ever before." It's easy to see why many candidates from both parties will insist on copying or otherwise adopting such a message in 2016 but none is as fluent as Rubio. Some of them have even lived a modest life in America's working class before ascending to the ranks of public office, but none of them are as talented as Rubio, as a storyteller, public speaker, and sincere public servant. None of them can speak to America's disaffected middle class families about reclaiming the American Dream with the background, clarity, and credibility of Marco Rubio. Marco and his staff are firmly committed to combining this most powerful message of 2016 with a twenty-first century campaign as well, one that will acquire and analyze more data than ever before to most effectively study, reach, and motivate voters. As one adviser put it, "Marco's playing 'moneyball" and his eyes can't be taken off the prize. America needs President Marco Rubio. Conservatives/Republicans have always wanted candidates to emulate Ronald Reagan. Well, here is someone who came to the Republican Party convinced that Reagan's brand of Conservativism guaranteed results for a world in turmoil and years of "malaise". Years from now, a young aspiring politician will hopefully write a book on how President Marco Rubio had saved America's role in the world, and thus the world itself, and restored this nation as a great beacon of hope, an exceptional nation that guarantees for everyone an equal opportunity to pursue their American Dream. That is why Marco Rubio is running for President. That is why he's the best candidate in either party to be President. And it's why I'm extraordinarily excited to be a Day One Supporter for Marco Rubio's campaign for President of the United States. I ask everyone that aspires to a better future to join in this campaign.